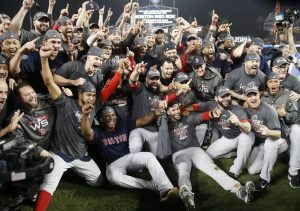 Following up our predictions for the major awards in the upcoming baseball season, the baseball writers here at Boston Sports Extra make our predictions on the most important thing of all; the postseason. 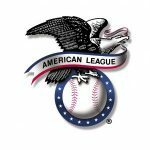 Who will win their divisions, who will sneak in as Wild Cards, and ultimately, who will win the World Series? No bullpen? No problem. Sale is ready for a Cy Young season, Price is over the playoff hump, Porcello is a rock, and EROD is about to make the leap. The lineup is 2004 deep, and AC is a wizard. The Red Sox won’t win as many games as last season, but who does? Both them and the Yankees should drop into the 90’s for a win total, with the divisional race going down to the wire. Even though the Yankees have certainly closed the gap, and the Rays have also taken a step forward, this division is still Boston’s to lose. I think this team is more than capable of winning their 4th straight AL East. It will be a two horse race but the combination of a little more offensive depth and the best bullpen in the majors should mean the Yankees come out on top this season. 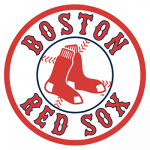 Boston’s rotation looks to be one of the best, if not the best in baseball. With Sale as #1 and Price at #5 it’s going to be tough for teams to score, especially with the defensive talent in the field. Best outfield, good infield with a stacked lineup to jump on teams. 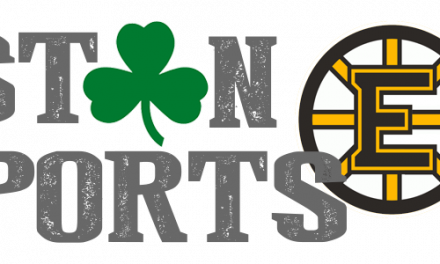 Boston will figure out the closer spot and will look to go deep into the playoffs. Their starters are deep, almost the rival of the Sox. 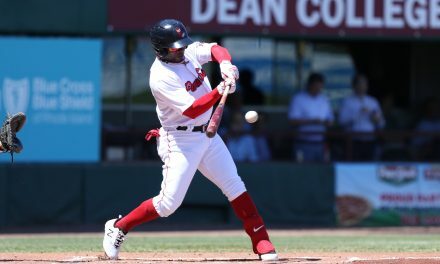 They have an MVP candidate in Jose Ramirez, and Francisco Lindor’s not far behind. But their depth is questionable, and their bullpen beyond Brad Hand is unproven. They’ll win a weak division. The Indians have seemingly taken a step backward, but with the rest of the division being arguably the worst in baseball, they should still have this division wrapped up with a couple weeks to go. Their rotation is one of the best in baseball one through five. The Indians are obviously the clear pick here, but with questions up and down their lineup, I decided to open this one up a little. The Tigers and Royals are clearly in rebuilding modes and the White Sox are still a year or two away. This leaves the Twins; with an improved lineup, rotation and a new manager, all of which I believe will culminate for a surprising division win. The White Sox will be better than many expect but the Indians should romp home comfortably in the Central. They just have too much everywhere for a generally weak division. 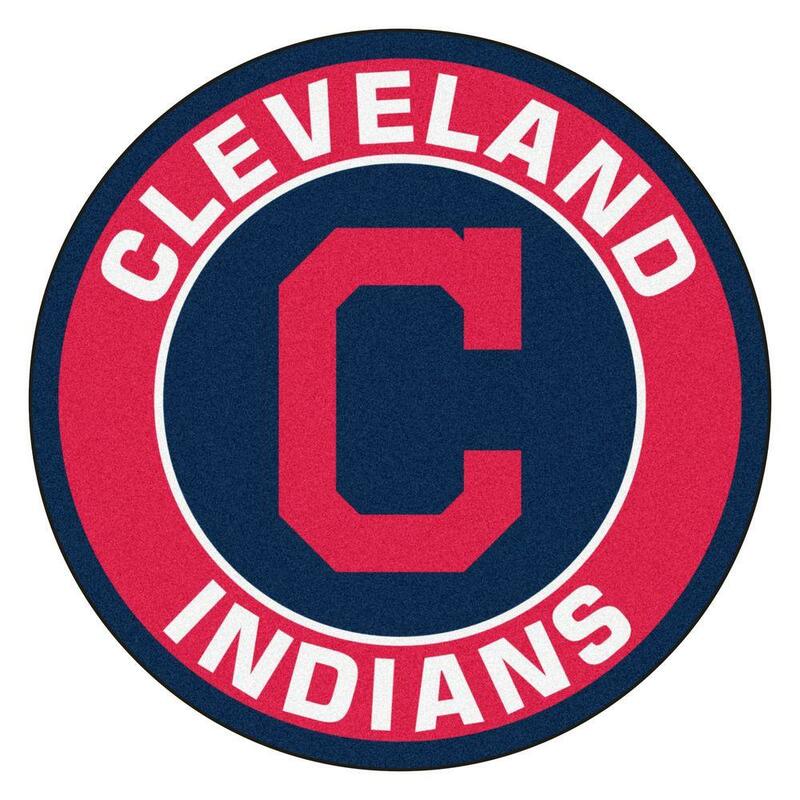 Cleveland is in a very winnable division as it is, not to mention their pitching. I see Cleveland racking up wins in 2019. Formidable. And Josh James will be there full time this year and push for the Rookie of the Year. As was the case in the central, I don’t see any team making this a race. The Astros have both the best rotation and the best lineup in the division. This division should be more tightly contested this year than in the past few. The A’s and Angels are both going to be right there with the Astros all year, but to me with the addition of Brantley, the Astros are still superior to the other 4 teams in their division. Perhaps the most competitive division in terms of depth in the AL. Expect one or two of the Mariners, A’s and Angels to push this deep into September. However, the Astros will have the experience and talent to win this division once again, led by their one-two punch of Verlander and Cole. This pick seems like a lock as Houston looks like the best team in baseball from top to bottom. 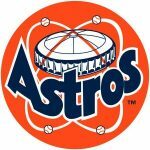 The Astros will be a wagon in 2019. I feel really bad that New York’s Ace is dealing with injuries and their starters average age is in the mid-30s. However, their lineup is the best in the game, and so is their bullpen, so they’ll push the Sox into September for the division lead. The Angels starters are iffy. Maybe Heaney stays healthy and Matt Harvey dons his cape and cowl once more. Mike Trout is the current Best Player in Baseball (apologies to Mookie, he’s got to do it for a few more years to truly match Trout), Cozart, Bour, and Calhoun take a step forward, and the underrated bullpen gels. Pujols has one more decent season in him too. The Yankees will be far ahead of the other teams vying for the Wild Card. I see the Angels, Rays, Twins, Athletics and possibly even the Mariners fighting for the second spot. The A’s will take a step backwards from their big season last year, as their rotation is highly questionable. So is the Angels, but I think their lineup puts a strong foot forward this year. There should be lots of teams left in contention with who I have winning the division (Athletics, Angels, Yankees, Indians, Rays, Blue Jays) but the two teams I think should comfortably land one and two, respectively, in the Wild Card standings, are the Yankees and Indians. Of all the teams in WC contention, those two are the deepest and most experienced and it would make for a great one game wild card. 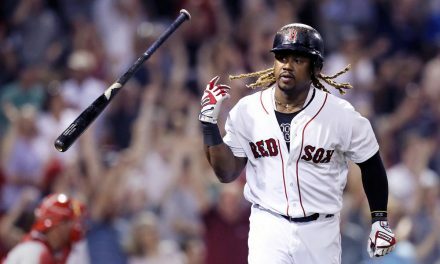 The Red Sox could easily win 100 games again and not win the division, but they will be a Wildcard team. The Mariners have made some fascinating moves, but their offense does just enough to drag them over the A’s and Rays for the fifth and final spot. It’s Ewing Theory time. Bye bye Harper, hello Division winner. They added Patrick Corbin to a loaded starting staff, their lineup is deep and balanced, and so is their bullpen. I correctly predicted the Phillies hanging in the playoff race until September before fading last year, saying they were a year away from making it. I’m not backing off them now, with the additions of Harper, Realmuto and Segura to the lineup. I would have liked to see them sign Dallas Keuchel to help shore up their rotation, but they should be in this anyways. This division should be as hotly contested as any, with four teams all believing they can win it. I think the Braves take a slight step back, and the Mets are slightly inexperienced. This leaves Bryce Harper’s new team and his former team. While I think Juan Soto helps the Nationals improve on last year, I don’t believe it’s enough to catch Philly for the division. Much like the AL West this is a deep division with four challengers. The Phillies have the depth, the Braves have the young talent and the Nationals have the rotation. However, the Mets rotation is the one that shines and will lead New York one step closer to a potential Subway World Series. Maybe I’m crazy, but even with the departure of Bryce Harper and missing the playoffs last year, I think they get this done. Washington has 3 great arms in their rotation with a mix of young and veteran talent. I think they just beat out Atlanta. Yu Darvish will bounce back and anchor a strong rotation that includes old friend Jon Lester, Kyle Hendricks, Cole Hamels and Jose Quintana. Kris Bryant is healthy again, and the lineup has a ton of depth. A deep bullpen puts the cherry on top. The Chicago Cubs will be back as one of the top NL teams this year. The NL East should be competitive, but this is probably the toughest division one through five with the Reds improvements. The Cardinals added Paul Goldschmidt this offseason to anchor a good lineup (if only they’d bench Dexter Fowler). Another tightly contested division, every single team in the NL Central has relatively high hopes. The Cubs, Brewers and Cardinals all see themselves as World Series contenders, and the Pirates and Reds have made much progress on filling out their rosters. With five solid teams, these teams could end up beating up on each other, and in that case, I like the new-look Cardinals to come out on top. The Brewers and Cardinals are both really good teams and this should be a tight race right down to the wire. However, the Cubs have the raw talent on offense and the best rotation in the division, which should be enough to see them avoid another miserable October on the sidelines. I’m a big fan of Paul Goldschmidt as you know if you read our last predictions. The Cardinals added him to a decent lineup that already has Matt Carpenter, who should make a great 1-2 punch with Goldschmidt. Last year they struggled with the pen, but I think Andrew Miller should bounce back in 2019. Dave Roberts sits his best power hitters in the World Series, but the analytical acolytes will continue to dominate the regular season. Stripling and Buehler make Kershaw’s continuing slow downward trend palatable in the starting rotation. That lineup is among the deepest in the game and Kenley Jansen leads a strong bullpen. It’s hard to see the Dodgers relinquishing their crown. Kershaw has started to have injury problems and miss time, but Walker Buehler is a burgeoning ace. They have a good rotation and go deeper than any team in baseball with good options in case of injury. Possibly the easiest division to pick, the LA Dodgers won’t see a whole lot of competition. To me, Arizona clearly took a step back, and Colorado is a large candidate to do so as well. The Padres added Machado, but their rotation has no chance of competing for a division title. This leaves just San Francisco as the only possible rival for the Dodgers to win the division. The Giants haven’t made themselves much better than last year which leads me to believe the Dodgers should win this by double digit games. The prevailing feeling I have seen is that this is the Dodgers division to lose. Well the Rockies will have something to say about that. Their rotation is going to have rough stretches pitching in Coors, but led by Blackmon, Arenado, Murphy and Story they can upset the Dodgers and put a spanner in their plans for a third World Series. The Dodgers have won this division every year since 2013 and I don’t see that changing this year. Even with the big name departures I think LA will look to make a run for a third straight trip to the World Series. Harper will finally top 40 homers for the first time since 2015, and they have a good staff led by Aaron Nola, but their lineup otherwise will probably have some regression. I think they’re a touch behind the Nats. Bud Black will bring out the best in an exciting starting staff for the Rockies. Kyle Freeland, German Marquez, and Jon Gray could push the Nationals for the best starters in the NL and the lineup has a few MVP candidates in Arenado, Blackmon and Trevor Story. If the bullpen holds up, this is a playoff team. The Brewers have one of the best lineups in the Majors. Their rotation could use a top arm and their defense might be lacking, but they did add a couple young pitchers with upside to their rotation. As for the Nationals, they lost Harper, but Soto looks like one of the best young hitters in the game. Their rotation got deeper with the addition of Corbin, this team will still win games. Even more clogged than the AL side, teams in contention who I don’t have winning divisions include the Nationals, Braves, Mets, Brewers, Cubs, Pirates, Reds, Rockies and Giants. There are clearly four or five teams of that bunch a little closer to the playoffs, and two of those, the Nats and Brewers, stand out to me as teams who I see absolutely making the playoffs. Both of these teams just have more talent and depth across their roster than the other contenders. The Braves, Brewers, Cardinals and Nationals will all push them hard in what could be an amazing nine horse race for playoff spots in the NL. Atlanta added former MVP Josh Donaldson and reunited with Brian McCann. With a number of young talented pitching prospects, Atlanta’s looking to get back on top. My second pick is the Chicago Cubs, who I have making a run this year after losing the WC game last year at home. I think this team along with Joe Maddon will be hungry to atone for last year. 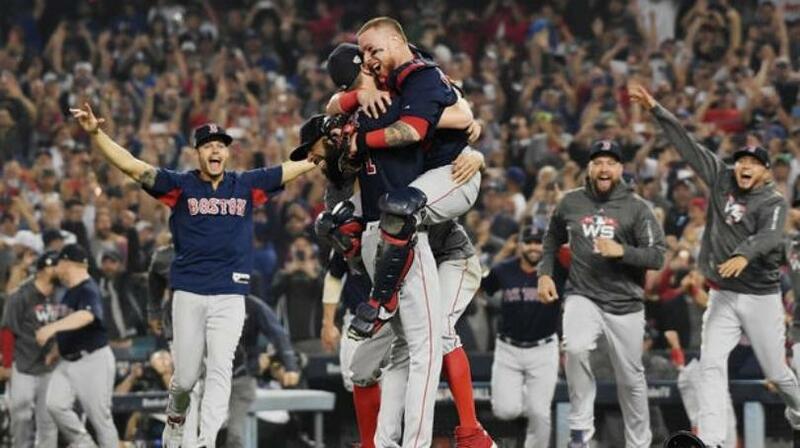 The Red Sox go back-to-back with a healthy Sale, a much better playoff performance from Mookie, and too much playoff experience up and down the lineup. The Nationals starters push the Sox to six games, but they won’t have enough in the end. The Astros will take back the American League over the Red Sox in the ALCS. 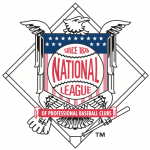 The Nationals, with their deep rotation, will finally come out of the NL despite being a Wild Card. However, the Astros lineup should be much better and they have the pitching to match. Despite making their second trip in three years, I expect the Astros to encounter issues when it comes to Philly. The Phillies lineup is one of the only ones to rival Houston’s, and to me, Philly’s rotation gets it done more than Houston’s. Phillies win a World Series in Bryce’s first season. The Cubs ensure that fans do not have to wait a long time to see a second title. Heartbreak for the Astros but they once again demonstrate they are the class of a very top heavy American League. I have the Sox repeating in a rematch of last year. Boston has too much talent defensively with a great rotation and stacked lineup to lose to the Dodgers. Boston will figure out the closer situation and will be off to the races again in 2019. The Dodgers will make it back to the World Series for the third straight year, trying to win it all for the first time since 1988, but will ultimately fall short to Boston as they did in 2018. PreviousWhat Are The Bruins Chances Of Winning The Stanley Cup This Year?